The fee structure to sustain the Maine Lobster Marketing Collaborative will be in effect through 2021. A bill to enable a Maine lobster marketing group to continue touting the state’s signature seafood export in the coming years became law Monday. The Maine Lobster Marketing Collaborative uses fees paid by members of the state’s lobster industry to promote the Maine lobster brand in the media and restaurant business. The new law extends the fee structure through 2021. Members of the lobster industry have spoken in favor of keeping the marketing group to help the industry stay profitable during difficult fishing years. The collaborative was created about five years ago, after a season in which fishermen saw low prices. The extension will allow the group to promote Maine lobster as a “true icon” that grabs the attention of both customers and chefs, said Matt Jacobson, executive director of the collaborative. 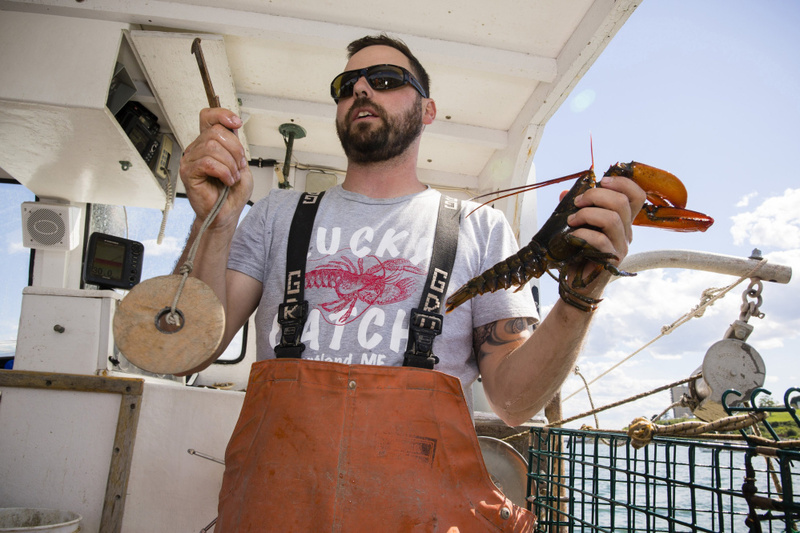 “We are looking forward to continuing our efforts to drive awareness of Maine Lobster, and telling the story of the people within the industry who bring it from trap to table,” Jacobson said. The collaborative has an annual budget of $2.2 million, and some members of the industry have asked that the group be more transparent and judicious about how it spends its money. The group also could function as “the organization that manages crisis response to negative news stories in our industry,” said Annie Tselikis, executive director of the Maine Lobster Dealers’ Association, at a hearing in February. Maine is by far the largest lobster producing state in the country, and fishermen have topped 100 million pounds of lobster for seven consecutive years. The bill passed the Legislature last month, following a key vote of approval from the Marine Resources Committee in February. It became law without the signature of Republican Gov. Paul LePage. This story has been corrected to say the collaborative has been extended to 2021, not 2020.